Is your child getting too old for stuffed animals? 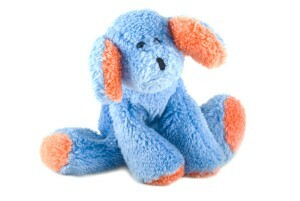 Home » Dad » Is your child getting too old for stuffed animals? Throughout your child's baby and toddler years, he or she may have carried around a favorite stuffed animal at all times – on the way to preschool, out at a family dinner, playing in the yard and snuggled securely before bed. As a father, it's nice to see your child exercising his or her imagination and developing a strong emotional bond with a stuffed bear, dog or kitten. However, that connection can become something of a social burden as your child grows older – around age seven or eight. You don't want to force your little one to mature too soon, but you also don't want him or her clinging to the past forever. In your attempts to distance your child from his or her cuddly friend, it's important to proceed delicately. Instead of simply declaring your little one too old for stuffed animals one day, consider gradually finding ways to get your kid to venture off without the toy. For instance, suggest leaving it behind for outings to the store or a restaurant, but allow the toy to tag along to the park or playing in the backyard. As an object that your child sees as not only a friend, but a representation of comfort and security, you may want to allow your son or daughter to make the final call on when he or she is "too old" to be playing with stuffed animals. By establishing these intermittent times of separation, you'll have an easier time guiding your child to make the final decision to leave the stuffed animal behind permanently.